Of course there is no such thing as the ultimate product, because everything is subjective but this is how I describe my ultimate product. I do have my Holy Grails but there is always room for improvement. My single most important and favorite part of my regimen is deep conditioning. If you really want to see your hair transform, then invest in a quality deep conditioner and allow it to sit for 15-20 min. with a processing cap or plastic bag from the produce section in the grocery store (I know I’m not the only one who does this). I love the entire deep conditioning process because it forces me to relax while my hair is being pampered. Although I feel pampered, these deep conditioning essentials would make the process even better. Your Holy Grails may be different than mine (and they likely are!) but these are the four characteristics that take a deep conditioner from nice-to-have to must-have. I understand what it feels like to face the reality of a 2-week-old wash and go with 4a coils. Whoever coined the expression “if you knew better you’d do better” lied because I make poor hair decisions all the time. 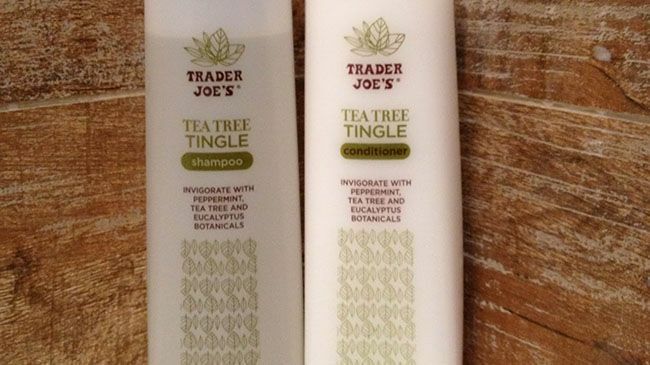 When I am at work lamenting over the detangling disaster I’m about to face, I think about the fact that Trader Joe’s had me in mind when they formulated the Trader Joe’s Triple Moisture Tea Tree Tingle Conditioner. This is a $3.99, silicone-free, 99% natural, 16oz. bottle of slip. This is a $3.99, silicone-free, 99% natural, 16oz. bottle of slip. Yes, you can read that again. The second it hits your wet hair, all knots, tangles, and mats dissolve. This conditioner (cue the church organ and tears) has been nothing but good to me and I am eternally grateful. The most important element of a deep conditioner is not how my hair feels with the conditioner in it, but how my hair feels after the conditioner is rinsed out. 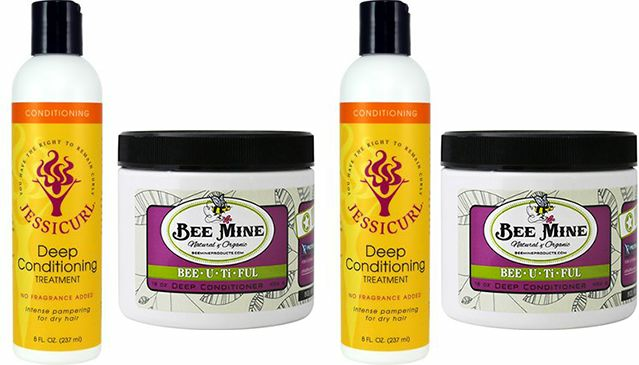 The Bee Mine Bee-U-Ti-Ful Deep Conditioner and Jessicurl Deep Conditioning Treatment leave my hair so supple and defined, almost as if the conditioner is not thoroughly rinsed out. No, it’s not the residue and film you get from products formulated with mineral oil or silicones, these are the real deal. A deep conditioner can be extremely lubricious but if you rinse it out and your hair does not feel moisturized then I say toss it. 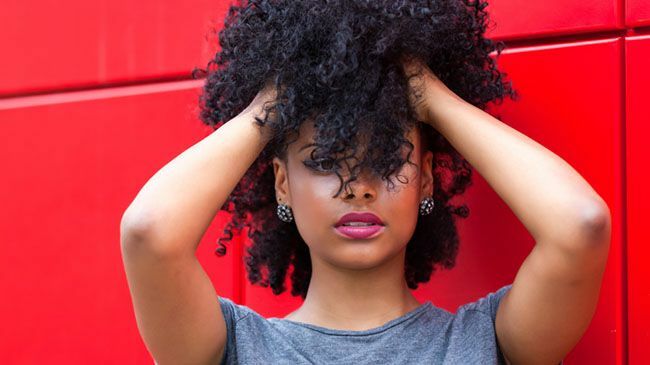 Deep conditioners need to come with their A game! They need to be so good that they can recover my hair from any and all neglect, abuse, or harsh cleanser and these two products have been A1 since Day 1. Nothing beats the Aussie Moist 3 Minute Miracle Moist packaging. Does Aussie have a patent on this because I don’t understand why it has not been replicated by other brands? There is no reason to not like this bottle. It’s spill proof! When I deep condition in my limited shower space, product containers tumble all over the place. And if my jars spill over, that wash day is a wrap. You can't salvage spilled products. With the Aussie Moist 3 Minute Miracle packaging there is no need to shake the product when it runs dry because the spout is on the bottom, which is absolutely brilliant. This also eliminates a need for a pump, which can be hard for companies to ship. I know viscosity is an important variable when it comes to packaging, but please consider using this packaging if the product isn’t too thick or too runny, and in a 16oz. bottle, please? 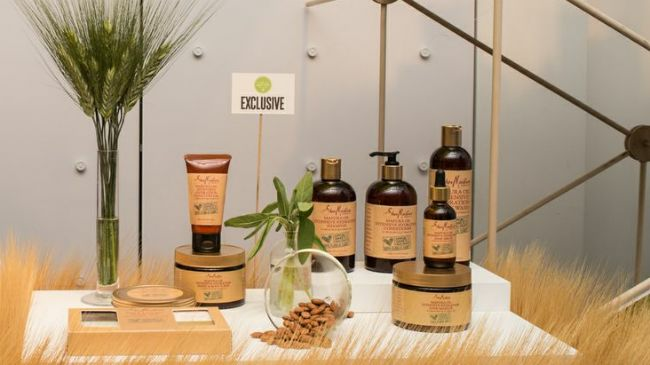 The NaturallyCurly office absolutely loves the fragrance of bae the SheaMoisture Manuka Honey & Mafura Oil Collection. Seriously, we have been wearing the Manuka Honey & Mafura Oil Intensive Hydration Complex like a perfume. Who said it has to be limited to the hair and scalp? Every time I wash my hair with this collection my co-workers can’t get enough! I know nothing about perfumery, but all of the notes in this collection are pleasant and who doesn’t like the smell of fig? How would you describe your ultimate deep conditioner?